In Judaism, a common practice is to dress up on Purim. During this holiday, Jews celebrate the change of their destiny. They were delivered from being the victims of an evil decree against them and were instead allowed by the King to destroy their enemies. 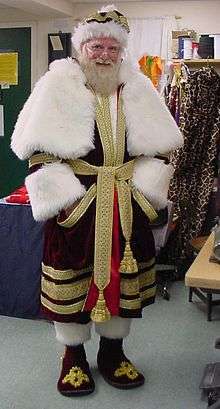 A quote from the Book of Esther, which says: "On the contrary" (Hebrew: ונהפוך הוא‎‎) is the reason that wearing a costume has become customary for this holiday. 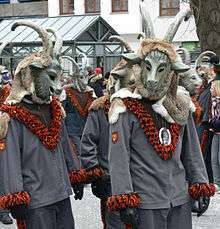 Costumes also serve as an avenue for children to explore and roleplay. For example, children may dress up like characters from history or fiction, like pirates, princesses or cowboys. They may also dress in uniforms use in common jobs, like nurses or police officers, or as zoo or farm animals. Overall, young boys tend to prefer costumes that reinforce stereotypical ideas of being male, and young girls tend to prefer costumes that reinforce stereotypical ideas of being female. More recently, and particularly with the advent of the Internet, the DIY movement has ushered in a new era of DIY costumes and pattern sharing. POPSUGAR is one such example, with several hundred designs readily available. YouTube, Pinterest, Mashable also feature many DIY costumes. The costume industry includes vendors such the American company Spirit Halloween, which opens consumer-oriented stores seasonally for Halloween with pre-made costumes. ↑ Cosgrave, Bronwyn (2000). The complete history of costume & fashion : from ancient Egypt to the present day. New York: Checkmark Books. ISBN 0-8160-4574-7. ↑ "A Woman's Letter from London". The Sydney Morning Herald. 31 December 1900. Retrieved 12 October 2015 – via Trove. ↑ Bishop, Catherine (2015). Minding her own Business - Colonial businesswomen in Sydney. Sydney, NSW: NewSouth Publishing. pp. 37–38. ISBN 9781742234328. ↑ "Costume". etymonline.com. Retrieved 18 October 2015. ↑ Condra, Jill (19 April 2013). Encyclopedia of National Dress: Traditional Clothing Around the World. ABC-CLIO. p. 266. Retrieved 17 October 2015. 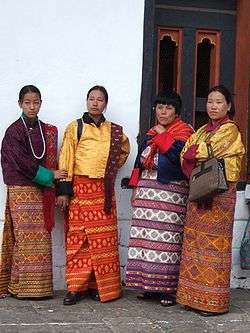 ↑ "Bhutanese Dress". Tourism Council of Bhutan. Retrieved 17 October 2015. ↑ Pearlman, Ellen (2002). Tibetan Sacred Dance: a Journey into the Religious and Folk Traditions. Inner Traditions / Bear & Co. pp. 21, 32, 180. ISBN 0-89281-918-9. Retrieved 16 October 2011. ↑ Clements, William M. (2006). 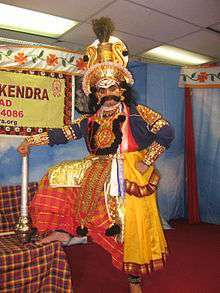 The Greenwood Encyclopedia of World Folklore and Folklife: Southeast Asia and India, Central and East Asia, Middle East. 2. Greenwood Press. pp. 106–110. ISBN 0-313-32849-8. Retrieved 16 October 2011. ↑ "Cham Dance: The Masked Ritual". World Press.com. History and Development of Dance/ Brockport. 16 May 2013. Retrieved 18 October 2015. ↑ Jackson, Kathy Merlock, ed. (2005). Rituals and Patterns in Children's Lives. Popular Press. p. 225. ISBN 978-0-299-20830-1. ↑ "Current Issue". The Costume Designer. Costume Designers Guild.